Hi, this is Yuki from Hiroshima. My mother Hiroko and I are your hosts. Would you like to have more than just "experience"? We like to offer more than just "teaching"! 1. Both of us have many experiences as host mothers! We love making friends with people from any cultures! 2. We accept up to 4 guests in one session (up to 3 depending on the program) and set long enough duration time so that we can have enough interaction. 3. 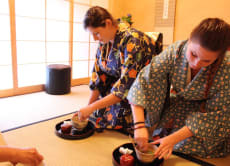 Hiroko is a 1st degree instructor of Tea Ceremony and has her own class for local students. Yuki is a 2nd degree instructor. We can also offer kimono on your request. Let's communicate through experiencing authentic Japanese culture! I was very impressed by Yuki and her mother that teach and demonstrate the Japanese culture very well. I was able to ask any questions arose during the class. 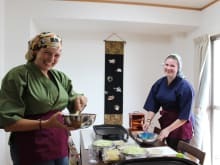 Both Yuki and her mother are very friendly, and tried to make me understanding the Tea Ceremony, as well as Japanese culture deeply. In addition, it was very convenient to communicate with organiser and Yuki after applying the class. The station and place of the class was very close, Yuki was waiting to take to the class with very classic style of Kimono she wore. 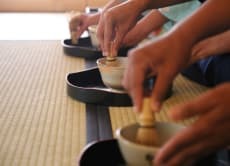 Tea plays such an important art of Japanese life, this experience explains and gives context to the history and ceremony. The hosts were simply lovely and welcoming, after a refreshing cold drink we were dressed and witnessed the ceremony before trying our hand at making tea ourselves. An absolute must do while in Japan, some great photos and memories that we will treasure. I truly loved my tea ceremony with Yuki and her mom. 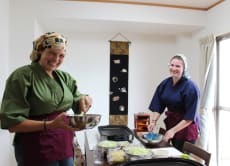 I felt so at ease in their presence and it was really interesting and exciting to learn about such deep-rooted traditions and more in general about Japanese culture. Communication was really easy, and Yuki answered all of my (many!) questions. 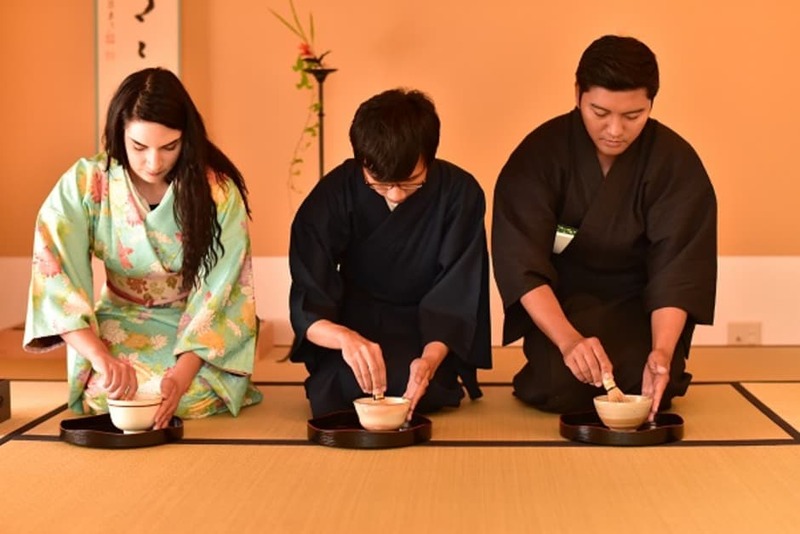 After the lovely process of putting on the Kimono, learning about the tea-ceremonies in Japan, and actually experiencing the tea ceremony I could choose between calligraphy and something else for a second activity - I forgot what it was, but both sounded super interesting. As you can probably tell, I chose calligraphy: I could choose a word of my choice and was taught how to write that and my name. 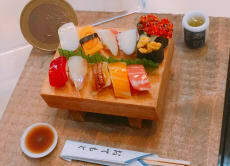 I would recommend this to anybody visiting Japan!! We really enjoyed the entire experience with Yuki and her mother. Such lovely people and great at communicating how and why they do things a certain way. Easy to get to from the train station- highly recommend! Fantastic authentic experience with lovely hosts.